The Coalition for Reform in Political Advertising have launched a new campaign – “separate the real from the make believe” – which demands legislation to stop lies in political advertising. 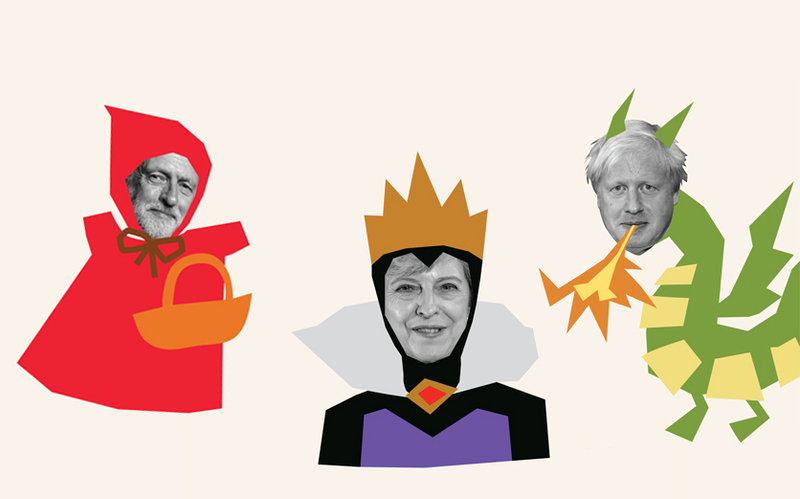 The advertising uses language and iconography from fairy tales to make the point that fictional claims should have no place in political campaigning. There are three adverts in the campaign and they’re running across outdoor poster sites, social media and online banners; they encourage viewers to sign a petition at change.org/p/reformpoliticalads that demands legislative change. Political advertising is currently free to make wild and unsubstantiated claims. This is because, shockingly, campaign material in the UK is not regulated. There’s nowhere to complain to if a voter believes that a political ad is dishonest. And with no regulator or body responsible, nobody has the power to remove political advertising that is misleading. However, according to a new YouGov survey commissioned by The Coalition for Reform in Political Advertising and FullFact 84% of voters think there should be a legal requirement for factual claims in political advertisements to be accurate. As regular readers will know, reforming political advertising is a passion point for this humble blogger and I’m very much involved in the Coalition, so any criticism of this campaign will be received with hypersensitivity and incredulity. We are trying to raise funds to extend the reach of this campaign and build a war chest for future campaigns, so if you feel passionately about this cause please donate here. “1. Require all factual claims used in political adverts to be pre-cleared” how many people would you have doing that?